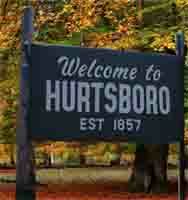 Hurtsboro is the quintessential small southern town. With a year round population of around 500 people, we're small enough to give you breathing room but large enough to offer the most friendly feeling you will ever know. Come and see for yourself. We're a nice place to visit and an even better place to call home. 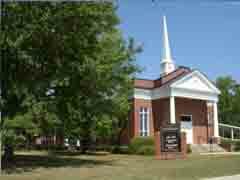 We're located about 30 miles west of Columbuis Georgia and about 30 miles south of Auburn, Alabama. We're in the country, but close to shopping, dining, and entertainment. 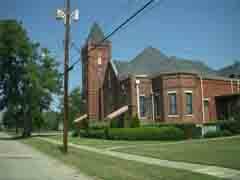 Hurtsboro rests in the historic Alabama Black Belt. It has a heritage of outdoor life. It offers a rich array of outdoor activities. It attracts hunters from around the world. Deer, quail, and turkey are three of the popular game to be found in abundance within a twenty minute drive from Hurstboro. Hurtsboro is the second largest town In Russell County, Alabama. It was originally incorporated by the legislature in 1872, but adopted the municipal code in 1908. Hurtsboro was settled somewhat later than other sections of Russell County because it was located south of the Federal Road, the main route for settlement in the early nineteenth century, and thus did not immediately benefit from the tide of settlers coming in on the road. In 1857, Joel Hurt Sr. and his partner William Marshall established a sawmill near the route of the Mobile and Girard Railroad. The settlement that grew up around the sawmill became known as Hurtsville. When the town incorporated in 1872, the name was changed to Hurtsborough to avoid any confusion in the postal service with already incorporated Huntsville. This was later adapted to Hurtsboro. Hurtsboro's zenith came in the early 1900s, when two railways, the Central of Georgia and the Seaboard Airline, both extended rail lines through the town and shared a depot there. Stores and hotels serving travelers on the two lines fronted the Central of Georgia track. With the decline in railway travel came a corresponding decline in the city's population. Even with this downturn, the town continued to offer much in the way of employment through various lumber operations and several manufacturing concerns. In the 1960s the town was flourishing. It boasted a movie theater, hotel, and many shops and services. On April 1, 1981, Hurtsboro was dealt a severe blow when a tornado hit the town, killing two and injuring 23 and damaging and/or destroying 80% of its buildings and residences. And yet Hurtsboro survived. 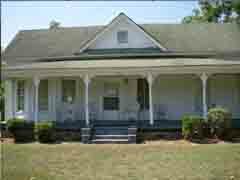 There are still a number of antique homes... most still occupied. 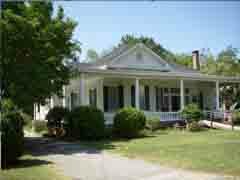 Today Hurtsboro's Historic district is home to many homes and businesses built at the turn of the twentieth century. 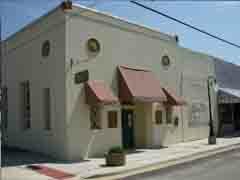 Our historic diistrict is on the National Register of Historic Places. Life in Hurtsboro is relaxed, almost idyllic. 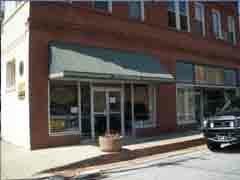 Although it has all the modern conveniences such as excellent cable and sattelite TV, cell phone coverage, broadband internet, life in Hurtsboro takes you back in time. Life is slow-paced, unhurried. People smile when they see you. Everyone who visits Hurtsboro is a new found friend. Why don't you come join us and sit a spell on the porch! The Map below will guide you to Hurtsboro.